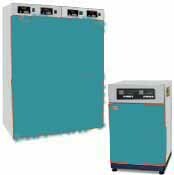 Incubator is a reputed manufactured and exporter of Incubator, Oven, autoclave, soilanalysis, electrophosics, shaker etc, which is widely used for various chemical researches and experiments in schools, colleges and institutes. We in order to manufacture precise laboratory equipment have also installed various specialized machines that can easily manufacture products as per the provided specifications. Premium in quality and widely demanded our products are competitive in prices and guarantee a long working life. Our products are easy to use and also completely safe. 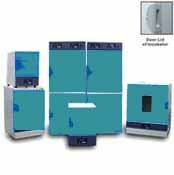 We manufacture a wide range of technically advanced laboratory equipment keeping in mind all the specific requirements of the clients. High in quality, superior in performance, easy to maintain, durable and perfect for research institutes and similar sectors, our wide gamut includes Bioreactor, B. O. D. Incubator, Autoclave-Vertical, Laboratory Oven, PCR, Gel Documentation, HPLC Systems, Electrophroresis, Micro Pipettes Biogene, Deep Freezer- 86/-26, Shakers and Laminar.